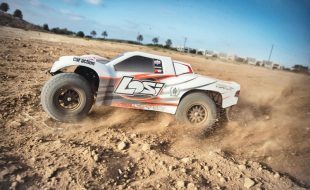 The HPI Savage is an Award-Winning series of 4×4 monster trucks that continue to push the limits with performance, reliability and ease of use. Now with the release of the new Savage XL Octane, that level of excellence has been raised to new heights. 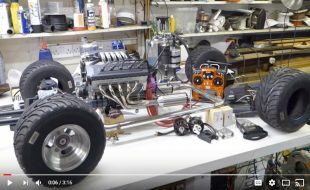 Fans are now treated to a newly updated design of the legendary Savage platform with an awesome gasoline engine that will surprise even the most experienced drivers. The new Savage XL Octane has a host of features that throw the rulebook out and all in a great Ready-To-Run package. 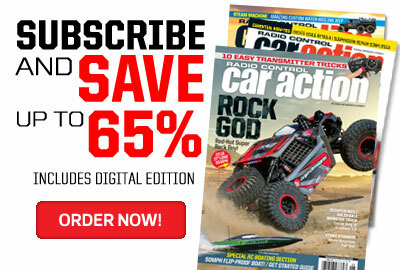 This revolutionary new engine will give you more torque plus longer runtime. 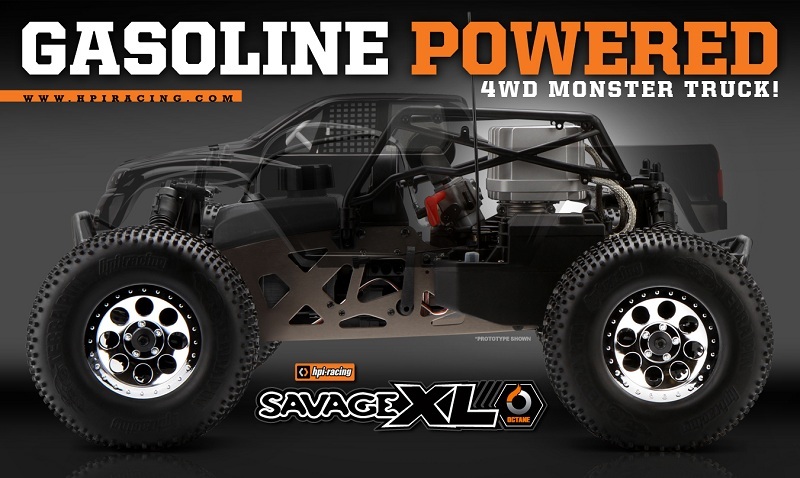 Combined with the host of new updated performance parts to the legendary Savage platform, the Savage XL Octane will leave all other competitors in the dust! All-new 15CC gasoline powered “Octane” engine. All-new ducted fan design keeps the engine cooler and more efficient. All-new tuned pipe matches perfect to the “Octane” engine for increased torque and overall power. All-new composite, triple-disc brake system. 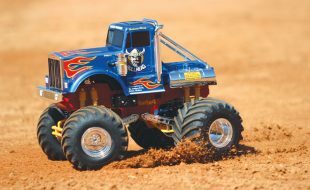 All-new XL truck body with scale detail and thick polycarbonate for increased toughness. 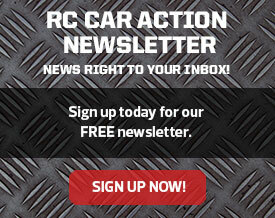 All-new extra-strength composite roll cage increases durability. All-new extra large fuel tank increases the already amazing runtime. All-new designed alloy TVP (Twin Vertical Plate) chassis. 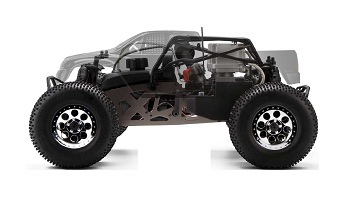 Full-time shaft drive 4WD system for maximum grip, power and acceleration. 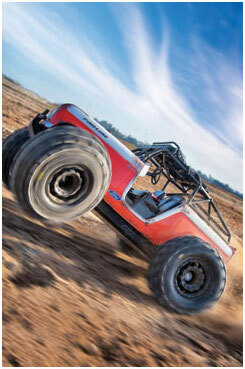 Proven 2-stage, oversized, oil-filled shocks. 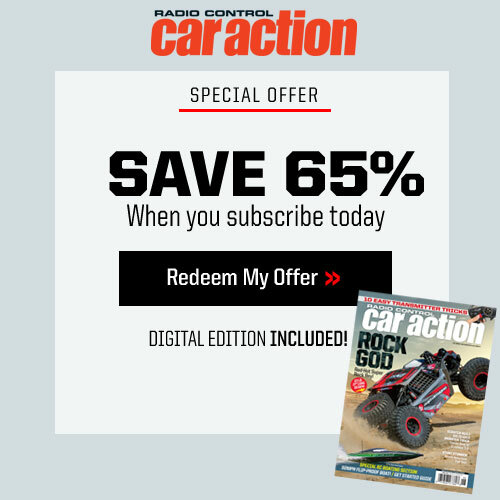 Sealed all-metal differentials with bulletproof bevel gears help tame the massive torque. Heavy-duty cam-type servo saver steering system. All-terrain tires w/ standardized Savage 17mm Hex Hubs. 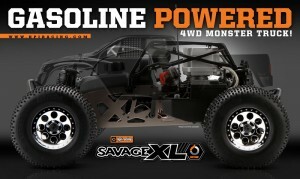 Proven Savage XL 3 Speed transmission. Proven Savage XL suspension uprights. High Torque Metal Gear Steering Servo. Rechargeable receiver pack and charger. Front and rear bumpers help protect against big hits. 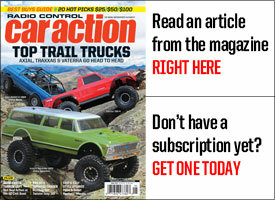 If you like this article, check out this additional article on HPI. I HAVE A SAVAGE X SS, WHEN ARE THEY GOING TO MAKE A CONVERSION KIT TO MAKE MY X SS OCTANED POWERED????? VERY VERY COOL!!!! GOING TO HAVE TO HAVE ONE!!!! 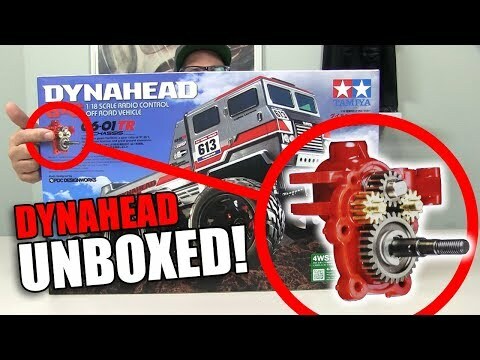 Will motor fit in other vehicles ( same foot print as a nitro big block ) ? 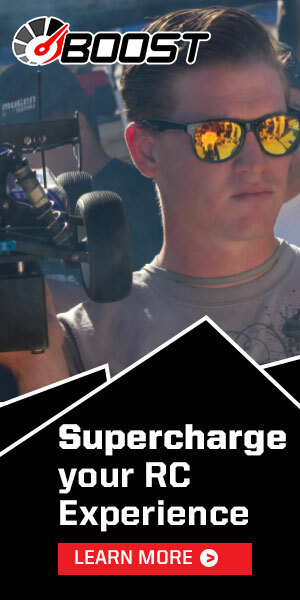 Is this the motor we saw from the show back in the spring/summer? Will motor be available separately? Must have list 2013!!! Must find excuses to tell the missus..